This difficult dog-leg par 4 into the prevailing wind allows little room for error. Two deep grass swales, left and right of the fairway await the long ball. 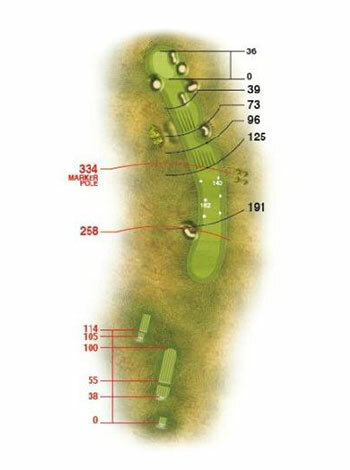 The second shot needs to be to the heart of the green as the approach and sides are well bunkered.